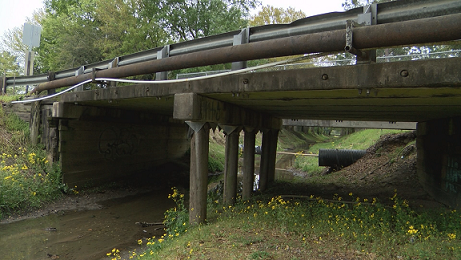 The Public Works Department at Lafayette Consolidated Government has identified 17 bridges in the parish that will need to be replaced within the next 5 to 7 years. However, Civil Engineering Supervisor Mitchell Wyble says the bridge on Bajat Rd. is the only bridge that is closed to traffic and there are no plans to close any others. Wyble also adds that all 17 bridges that need to be replaced have wood pilons.